The Sunday Business Post has announced the surprise departure of its managing director Paul Cooke. It's the latest in a series of high profile exits from the newspaper, which has lost Deputy Editor Pat Leahy and Magazine Editor Fiona Ness in recent months. The paper was saved from insolvency three years ago in a rescue deal and lost a number of senior figures including long-time editor Cliff Taylor at that time. In a statement, Mr Cooke said he has sold his stake in the company behind the newspaper to fellow shareholders Key Capital and added that he is "moving on to new challenges"
"I believe we have achieved more with the paper in the past three years than anyone would have thought possible and I look forward to its continued growth and success for years to come. Ireland needs a strong, independent media and the turnaround at the Sunday Business Post should encourage everyone in the industry," Mr Cooke added. Staff at the newspaper were told of the decision at a meeting on Wednesday afternoon. 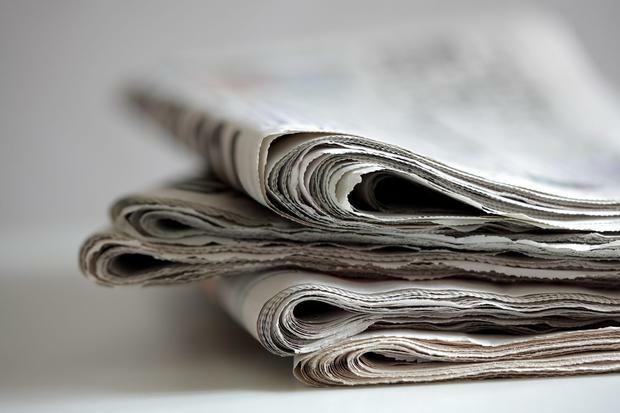 The loss of the media industry veteran leaves the newspaper with a relatively young senior management team to face unprecedented challenges including declining circulation, volatile advertising revenue, online disruption and industry consolidation. The Sunday Business Post (SBP) recorded a circulation of 32,162 in the period from July to December 2015, a decline of 3.2pc on the same period in 2014. It made a modest profit of €78,801 last year but faces challenges with the continuing industry-wide trend of falling newspaper sales. Mr Cooke’s departure comes as the company behind the paper merges with printing firm Webprint. Conor Killeen's Key Capital is the majority owner of both businesses and believes they will be stronger as a combined entity. Mr Killeen said the priority for the new entity is development and growth, saying this would require introducing new digital offerings and developing the SBP in areas including conferencing. "We also believe a significant opportunity exists to to provide value added production and pre-press services to Webprint’s clients building on existing core competencies in the SBP. Some of these opportunities require investment, others some modest reorientation of our existing resources," he added.